Innovation is our forte and for this, we bring forth for our customers a wide range of Designer Wash Basins. 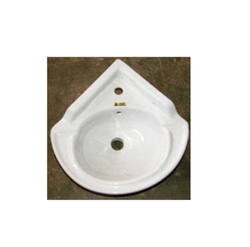 Our range consists of Taiwan Wash Basin, Angle Back Wash Basin, Dhara Wash Basin, Flora Wash Basin, Kamal Wash Basin, Nirav Wash Basin, Nirmala Wash Basin and Oriental Wash Basin. All our products are obtained from the most trusted vendors of the market, who have years of experience in this domain. In addition to this, we pack all the products using superior packaging material to ensure safety during transportation. 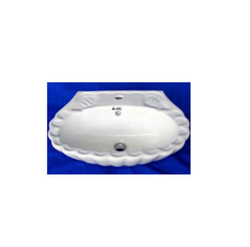 We are government of india approved export house in indian, we are dealing in all kinds of ceramic high quality wash basin pedestal, ewc,water closet, . Pan , vitrosa wash basin,dual tone printed wash basin with padestal, wash basin, table top w. B. ,italian water closet,italian toilet,european water closet,italian toilet,urinal,pan etc. (d) Water level test check in every pcs so free of order. We are offering for our valued clients quality approved Pedestal Wash Basin.These are manufactured in accordance with the set industry standards. Offered range can be accessed in varied sizes, shapes, designs and other specifications for applications in different industries. Our professionals use the latest technology and optimum quality raw-material for manufacturing these products. In order to meet exact needs of our clients, these can be customized in various specifications. We hold expertise in this field, as we are offering to our valuable clients a premium quality range of Wash Basin. 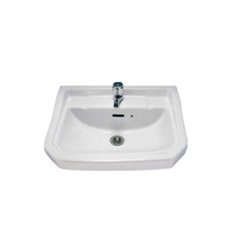 This wash basin is extensively demanded to make the washrooms of homes, hotels and offices more attractive. At our well equipped production unit, wash basin is manufactured by making use of premium quality ceramic and the latest technology. 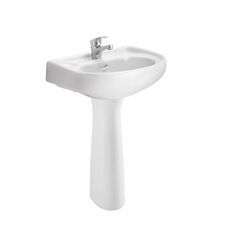 Also, we have reasonably priced wash basin is without compromising with the quality. We are offering our clients a wide array of Taiwan Wash Basin that is fabricated using premium quality that are known for their excellent features like durability, corrosion resistance and high functionality. These are highly efficient and cost effective in nature. 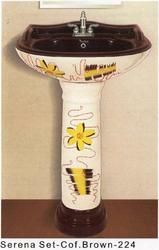 Clients can avail these Taiwan Wash Basin at affordable prices with us. With the help of our capacious warehouse, we are able to store a bulk amount of Kamal Wash Basin. Procured from the trusted & authorized vendors of the market, all our products are designed in compliance with international quality norms & standards. Furthermore, we check all the products on various parameters to assure zero defect. 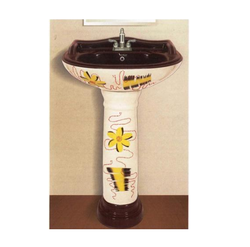 We are engaged in providing our customers with Flora Wash Basin that is available in various designs and patterns at market leading prices. 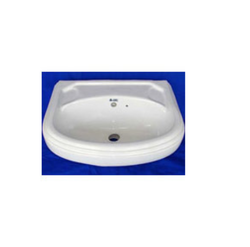 These basins are widely demanded by homes, hotels, offices and corporate houses. In addition to this, we check all the products on various parameters to ensure zero flaw. 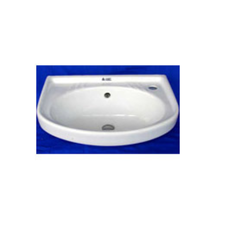 We are government of India approved export house in Indian, we are dealing in all kinds of ceramic high quality wash basin pedestal, ewc,water closet, .Pan,vitreous wash basin,dual tone printed wash basin with pedestal, wash basin, table top w. B. ,Italian water closet,Italian toilet,European water closet,Italian toilet,urinal,pan etc. Looking for Designer Wash Basins ?